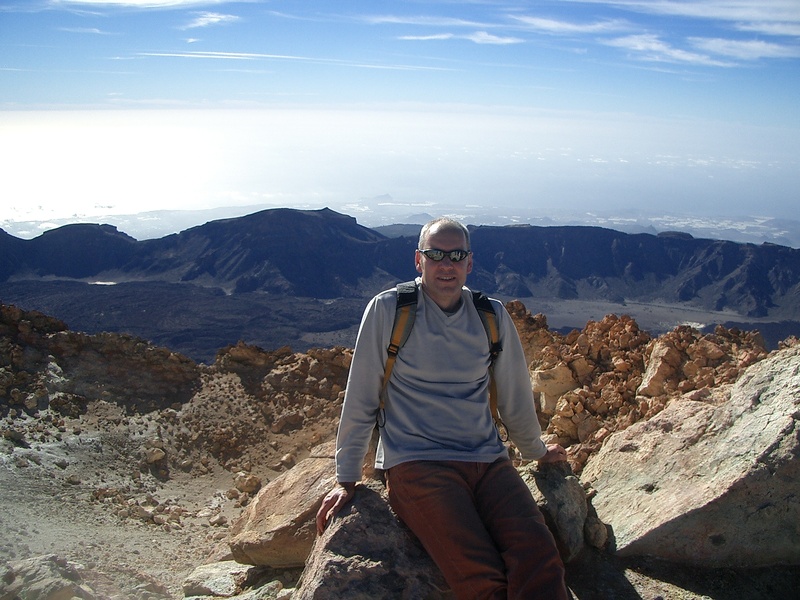 Studying maths and maths physics as an undergraduate at UCD led Chris Bean into exciting and unexplored directions, such as finding himself atop a volcano in Costa Rica, being interviewed by a TV crew, as he ‘listened in’ to a volcano. Neither of Chris’s parents were scientists, and rather there was a strong interest in classical music in the house. He did a lot of music as a boy, and for a time he might have thought that his ultimate destiny was to be a classical musician. The boarding school he went to for a time specialised in music, but, he changed schools after the Junior Certificate when he realised that he was not going to follow a career in music. The first time Chris recalls being interested in science was as a young boy, watching the historic 1969 moon landings. His father got him out of bed to watch the events unfold on what he remembers as a very speckly black and white TV. He was totally captivated – hooked – and he followed all the other Apollo missions in detail. The interest in science continued from there, and by the time he was in 6th year in school he had begun to develop an interest in the Earth and its natural processes. That interest was triggered at that time by visits to the geology museum at TCD. At primary school there wasn’t much science taught, he recalls. This was before there was a proper science curriculum at primary level. There were nature studies, but even that was “on the light side”. He remembers being interested in the physical aspect of geography, learning about rivers and so on, but it’s a bit hazy, he says. Primary school students today have a more interesting programme he believes. Nevertheless, by the time he entered second level his interest in science was gaining strength, and after completing the Junior Cert he decided to take physics for the Leaving Certificate. 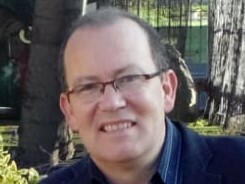 He went to two different secondary schools, St Finian’s in Mullingar, a school renowned for music, but that also had good science labs, and later to Synge Street in Dublin’s south inner city – a school with a great reputation for science and has produced several winners of the BT Young Scientist and Technology Exhibition over the years. After leaving school he decided to go to UCD to study science and his chosen subjects in his first year were physics, maths and maths physics. There was no clear career path in his mind at this point, he just ‘followed his nose’ and did what he was interested in doing. He loved the college experience, and enjoyed it much more than school. There was much more freedom, and it was much more open, he says, in terms of the learning experience. It required taking control of things for yourself, but that’s a good thing, he says, and college is a fantastic experience for students that “fully engage” with it. By now, he found himself watching Earth Science documentaries on television and he realised he was interested in using maths as a way to study how the Earth’s natural processes, such as volcanoes and earthquakes, work. He started down this road by doing an M.Sc. in Applied Geophysics at NUI Galway. Next he did a PhD at the Dublin Institute for Advanced Studies (DIAS) and he spent a lot of time in Karlsruhe University in Germany as part of that. This was a really exciting time for Chris, doing research and travelling the world to present his finding at various conferences. Some of the people he met abroad during this time are still among his best friends. Chris says that he was “pretty lucky” to get a job at UCD immediately after he finished his PhD at the DIAS. Since then he has also had several visiting positions in France, Spain and the US. One of the great things, of course, about being a scientist – up to now at least! – has been that it offers the chance to work and live abroad, meet new people and learn about different cultures and countries, but still then still be able to come back to a job in Ireland afterwards. In terms of his work, Chris says that he studies several aspects of geophysical science, that is the physics of the Earth in all its aspects. This includes learning about volcanoes, says Chris. Volcanoes are interesting, he says because we don’t know how they work. The goal is to figure out how volcanoes actually work, which is not to be confused, he says, with describing how they seem to be working. The volcano work involves going to exciting places and collecting data on volcanoes. It also involves lots of computer simulations of volcano processes. Chris and his colleagues develop new models and write their own software to apply these models. The work on volcanoes is interesting, but it can also be dangerous, even fatal. Some of Chris’s colleagues were killed in the 1993 eruption on Galeras, Columbia, but he says, such deaths are very unusual. He doesn’t worry too much about the dangers, but neither is he reckless. He cancelled a field experiment due to take place on a volcano in Costa Rica last year, as he was not happy about the safety arrangements. He also likes to make the point that there is more to geophysics than studying hazards such as volcanoes and earthquakes. There are aspects that are important to civil engineering and building projects, mineral exploration, petroleum exploration, and, increasingly, in the renewable energy area. Science is exciting, and fun, but like most things it requires dedication adn there is no quick or easy route to success. For someone that is very interested in science, then a career in science can be very rewarding, says Chris. “The best thing is that fundamentally you are searching for ‘the truth’, for how things work and fit together,” says Chris. In terms of monetary rewards, he says that scientists might have been exploited somewhat in the past because they were so committed to their jobs. This meant that they didn’t have to be incentivised financially, as a lot of them were driven first and foremost to discover new knowledge. The upside of this, he says, is that science must therefore be a career with very high levels of job satisfaction, as people are not going into it for purely financial reward. This situation might be changing, said Chris, and the future looks bright for science. The best advice he would give is to for students to do what they love best. I am interested in being a volcanologist. I have wanted this my whole life. Could anyone here tell me which college(s) is/are the best to make a career in being a volcanologist?